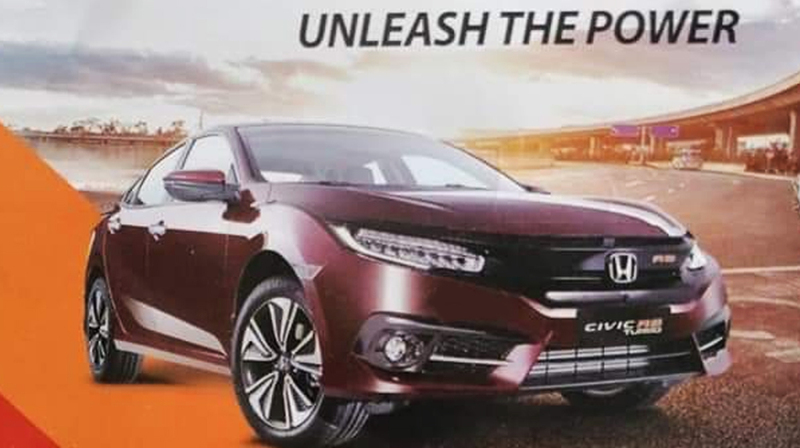 It has been confirmed that the new Honda Civic 2019 1.8 i-VTEC Oriel has been launched at Royal Palm Lahore. It has been confirmed on t he social media campaign with promotions having the caption of ‘Better Buckle Up’ to drive frenzy among the clients. Honda Civic 2019 Facelift Launches in Pakistan. 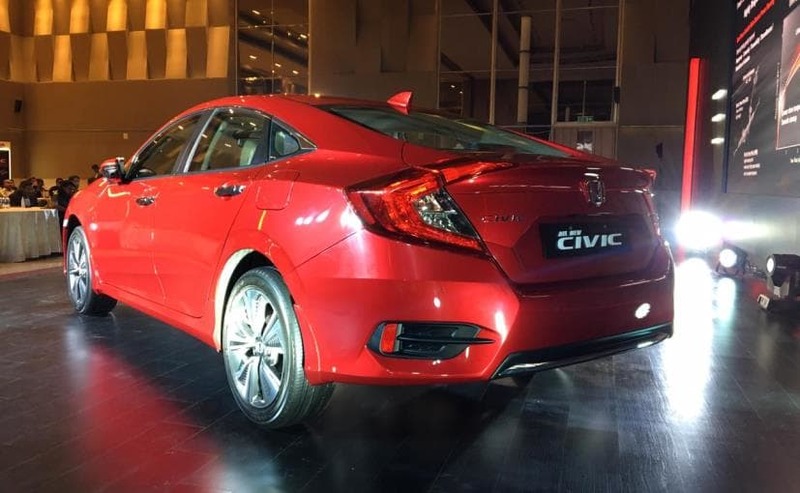 Honda Civic 2019 Facelift Launches in Pakistan. There was the teaser image and video with the caption, ‘Better Buckle Up’ and it is posted on Honda Atlas Facebook page. The promo has the feature of a picture of lights, and it was presumed that 1.8L variant will have LED headlights. 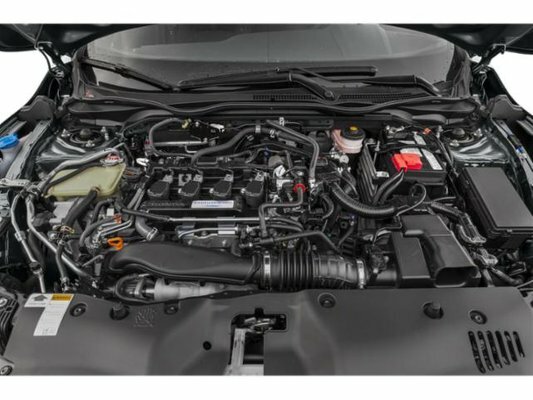 After the new modification with cruise control for Honda Civic 1.8 i-VTEC CVT, the Civic variants are tweaked and other two Civic sedans, Honda Civic Turbo and 1.8 i-VTEC Oriel are equipped with it. The feature allows this car to control speed. The second variant, Honda Civic 1.8 i-VTEC Oriel has the facelift with manufacturer has the hope to add chrome to bumper and black back strip and around fog lights. The color scheme of interior of this car might be changed with black seats having red stitching and Honda Civic 1.8 i-VTEC Oriel might get the feature of trunk cover. 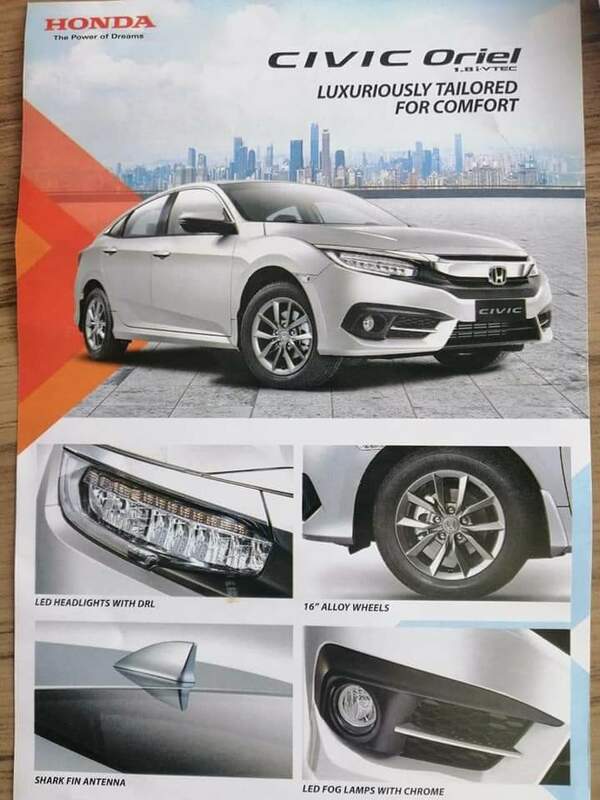 This car will have Engine Control Monitor ECM for Honda Civic Turbo 1.5 VTEC CVT variant and we might see some changes in exterior and interior like monogram with RS on front and rear side and LED headlights and fog lights with chrome strip on both bumpers and has Shark Fin Antenna. There will be slight increase in the alloy wheels with new ones at 17 inches and trunk cover. 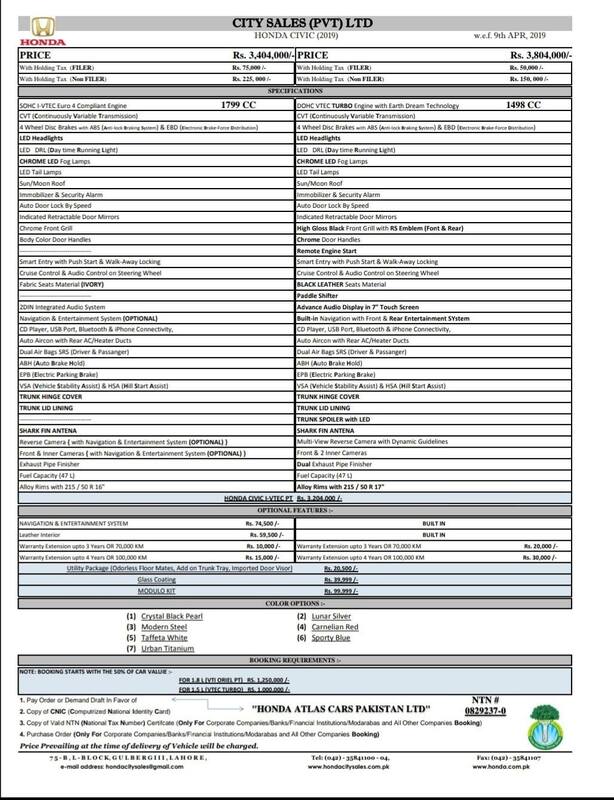 The dealers are asking for PKR I million in advance to book the vehicle, Honda Civic Turbo and PKR 1.2 million for Honda Civic 1.8 i-VTEC CVT and Honda Civic 1.8 i-VTEC Oriel. 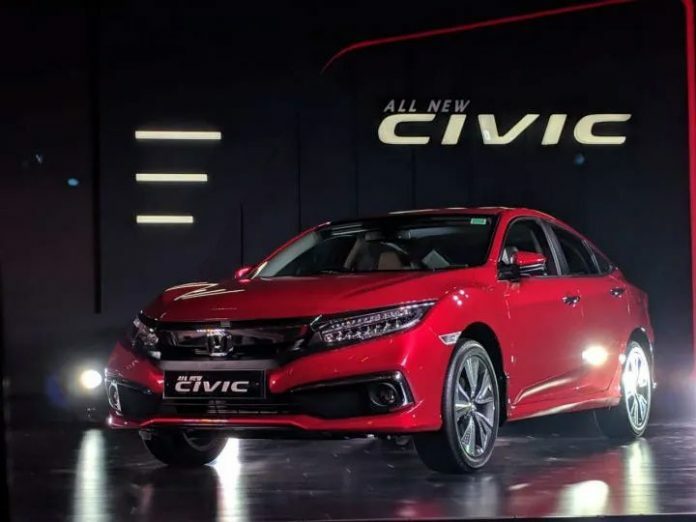 Honda Civic I-VTEC Oriel has the price tag of Rs.3.299 million and after getting facelift, the price of this car will increase by Rs.1.10 lac to Rs.3.4 million. 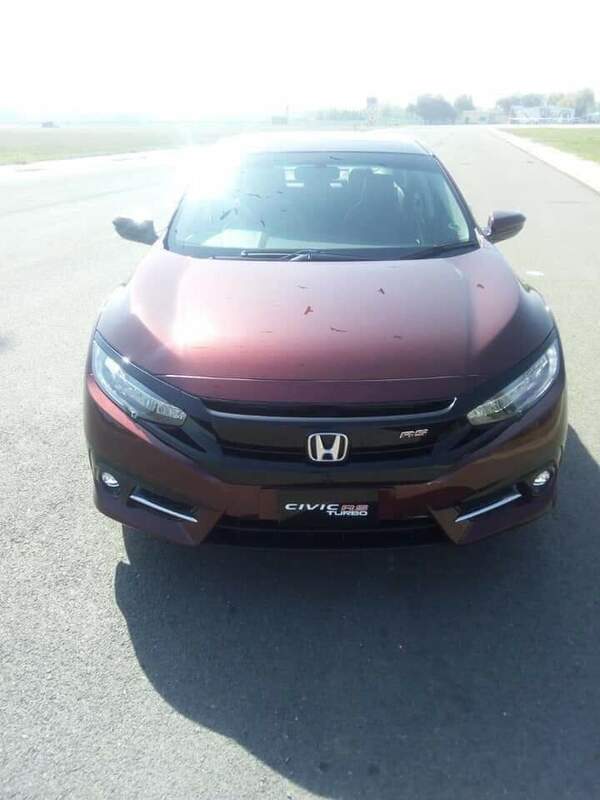 Honda Civic Turbo 1.5 VTEC CVT can have the price of PKR 3.505 million and Honda Civic 1.8 i-VTEC CVT 1799cc, which has the price of Rs.3.134 million.